Was at The Home Brew Shop in Aldershot today and noticed this in the half-price bin. I've not been tempted to try a kit lager as yet due to most using ale yeast and true lager ones needing temperatures I can not ferment at. However, at £6.50 there's not a lot to be lost in trying this! Was simply going to add the recommended 1kg of sugar and see what I get. Anyone done this one before? Any advice? I was worried about making it more like a pale ale with any additional malt? Another one can lager kit?;-). Rolfster wrote: Another one can lager kit?;-). 1/5 of a pack of hammer of Thor? You might be surprised, I've done lagers with ale yeasts and they've ended up pretty good - but that was with Enhancer not sugar, plus I've dry hopped with some Saaz or Hallertau, 25g or so. And leave to mature in bottles at least 3 months. Every time I've brewed with sugar the resultant beer has been rubbish, would never do it again. put this on tonight with 500g very light spray malt and 500g dextrose. Made it to 20L instead of 23L and used Nottingham instead of the supplied yeast. Will let it sit under the stairs and hopefully it will drop to 17c for the main part of the ferment. Not expecting much but interested to try my first lager (or very pale ale) kit. Bottled this tonight. Tasted sweet and pretty awful......but I guess warm, flat lager isn't the best of drinks. Will give it a couple of months to condition but don't have high hopes. After two weeks I thought I would have a bottle to see how it's getting on. Yeasty smell, not as sweet now and although not a good lager it is already better than I thought it would be. Clear too. Will give it a few months and sees what happens. just under a month old and tried another. The yeasty smell has died back but still very noticeable. 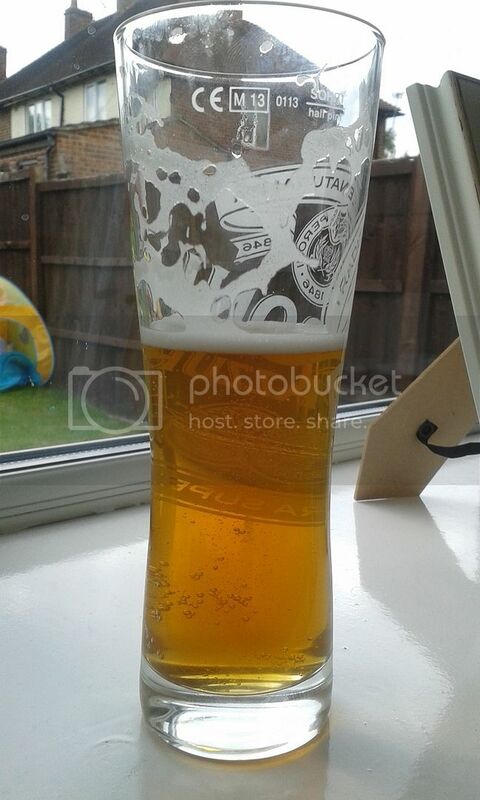 However, apart from that it is already quite a drinkable and passable lager. I'm really quite surprised so far. mine is six months old now and has vastly improved. This is a very passable lager now and even has the wife's seal of approval as something she'd happily have instead of a commercial lager.